Sixty-eight percent of the business economists said they foresee sales growing over the next three months. And for a fourth straight quarter, a higher proportion of respondents reported rising sales at their companies. All the panelists expect the U.S. economy, as measured by the gross domestic product, to expand over the next 12 months. Goods producers — a category that includes manufacturers, farmers and construction — are most optimistic, with 94 percent saying they expect sales to rise over the next three months. Fifty-one percent of the economists said wages rose at their companies between April and June, and they expect pay to keep rising over the next three months. It was the first time since the NABE began analyzing such data in 1982 that it has reported such strong wage growth over two quarters. Forty-one percent of respondents said their companies expect to hire in the next three months. 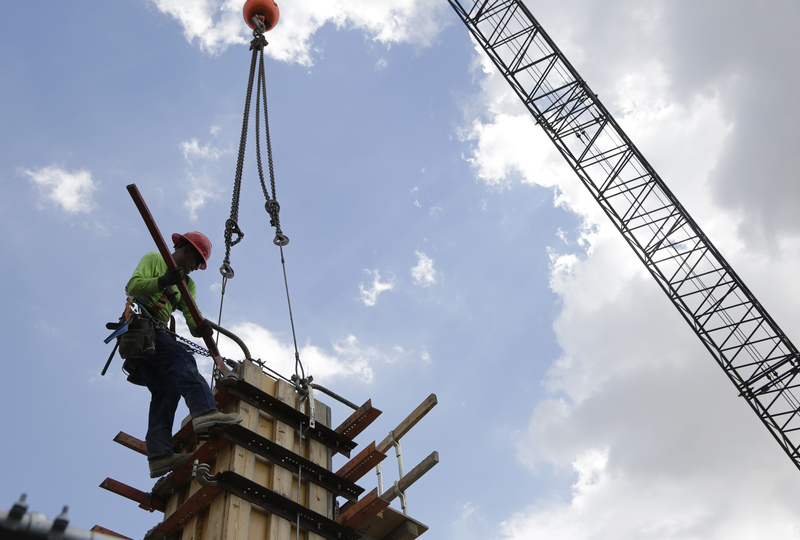 “Labor market conditions are tight, with skilled labor shortages driving firms to raise pay, increase training, and consider additional automation,” Sara Rutledge, chair of the NABE’s Business Conditions Survey, said in a statement. Overall, the respondents reported little impact so far from the Trump administration’s tariffs against China, the European Union, Canada and Mexico. A majority — 65 percent — said the trade disputes haven’t led their companies to change hiring, investing or pricing so far. But among goods-producing companies — which are directly affected by the tariffs and the counter-tariffs by America’s trading partners — a majority said they had made one or more such changes. Twenty-six percent of the goods-producing companies said they had delayed investments, and 16 percent said they had raised prices.